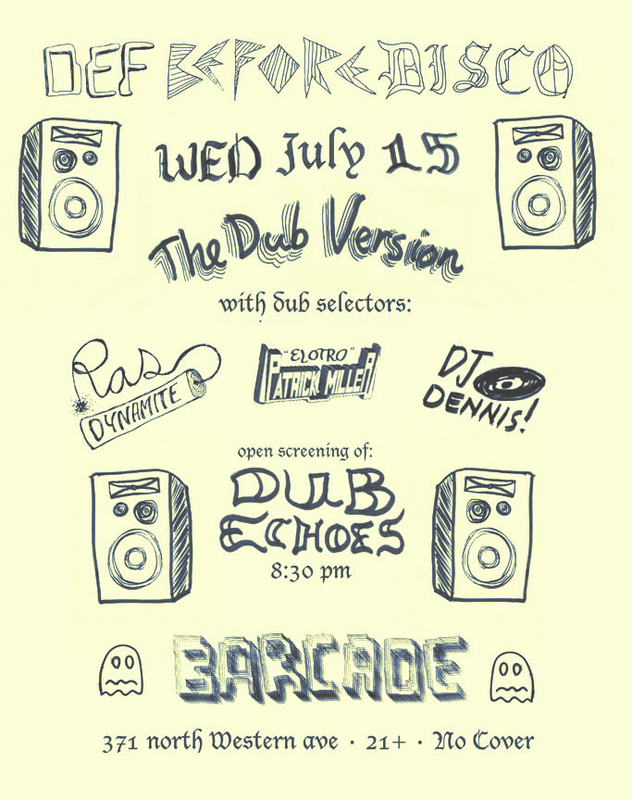 JULY 15 - THE DUB VERSION - with Ras Dynamite & Dj Dennis - Dub Echoes Screening at 8:30p ................ May 20 - Mr Juanderful (hear the DB4D preview mix) and Dj Lengua ................ Wednesday January 21 - GW BUSH Farewell Celebration with guest DJs: Dennis (Goodfoot), OMG, Skramble, John and Brian (Substance Djs), Annie and more ... - Wednesday September 17 - SPACE IS THE PLACE deejays: Dennis and Riley SEE THE FLYER .............. Wednesday August 20 - INSTED DJing + showing prints and books .............. Wednesday July 16 - Def Before Disco Summer Dance Party with ICY LYTES, DJs BIANCA O'BLIVION and PATRICK MILLER plus live electro-percussion by DAVID SEMIEN and CHRISTENE KINGS .............. DB4D presents: Substance DJs Wednesday June 18 .............. DB4D presents: Sister Mantos performing live at Barcade 5/21/08 .............. Def Before Disco Radio is on hiatus. 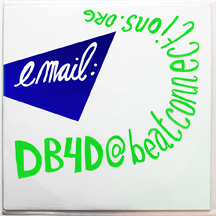 Check out our archive shows. ... due to Barcade's closure. ... Thanks for 2 great years!